Vegetarians and vegans share their reasons for and results of their food choices. Editor’s note: This is the first in a seven-part series on what it is like to be a vegetarian in Maine. Vegetarians think deeply about food, and many here in Maine are willing to share their thoughts. WILL YOU HELP ME give the Super Bowl party a vegan makeover? Send your favorite vegan party recipes to [email protected] Some reader-submitted vegan Super Bowl recipes will run in the Jan. 28 Food & Dining section. I discovered this after posting a message online seeking Maine vegetarians willing to be interviewed. I crossed my fingers and hoped I’d hear from five, maybe six people. I feared I’d hear from no one. Then I hit enter. To my surprise, my inbox and voicemail were soon flooded with more than 70 messages. Since then, I’ve had the pleasure of speaking with many of these people. Some are brand-new to the vegetarian lifestyle while others have eaten meat-free fare for decades. These long-term vegetarians all tell me how much easier it is to find delicious food today, compared to 10, 20 or even 50 years ago. From the tip-top of Maine in St. Agatha, Jean Cobb wrote to me about how she wanted to eat vegetarian while growing up on a farm in Standish in the 1940s and ’50s. But she says the lifestyle was considered so radical and strange during her childhood that she had to wait until she was an adult to go vegetarian. “My daughter and grandchildren are lucky because they are able to be vegetarians today because it is widely accepted and understood,” Cobb, 73, told me. Not only is meat-free eating accepted today, it’s become an aspirational lifestyle choice. Haute vegan is part of a larger trend toward ethical or responsible eating, which has people across the world seeking local and organic food. The market watchers at JWT say as “responsible eating has moved from the marginal to the mass,” a growing number of people are eating less meat and seeking out well conceived vegan meals. A high-end example can be found in Philadelphia. The guidebook Zagat lists the city’s No. 1 restaurant as the all-vegan Vedge. The National Restaurant Association’s 2015 What’s Hot culinary forecast also found that responsible food – local, organic, vegetarian – continues to be on the minds of chefs. This year’s survey of nearly 1,300 chefs showed a growing majority thinks vegetarian appetizers, vegetarian dishes and vegan entrées are all hot trends. 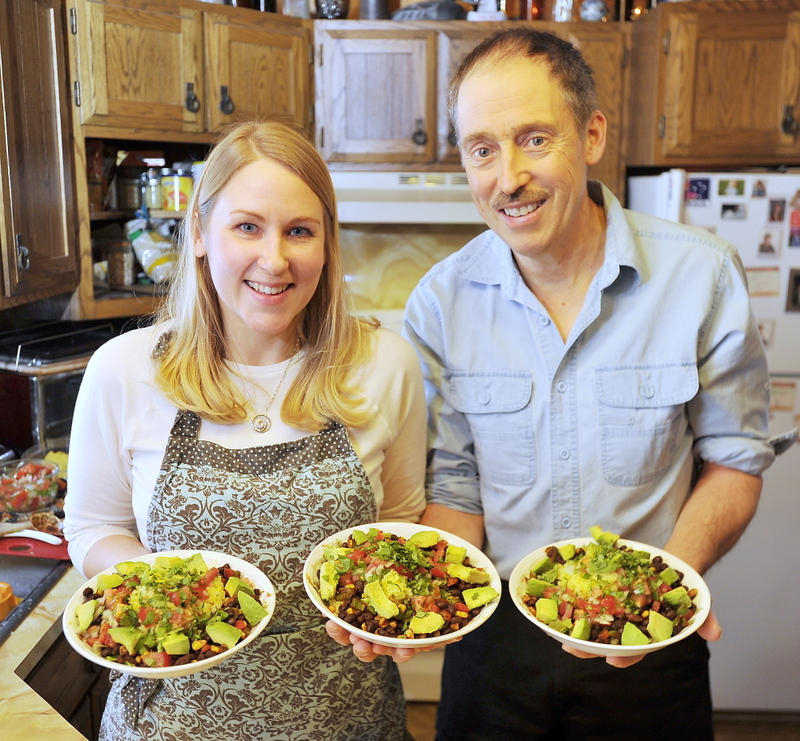 He made the change after he watched the 2011 documentary “Forks Over Knives” with his 25-year-old daughter, who is a longtime vegetarian. “That really flipped it for me,” he said. He soon adopted a plant-based diet. While not facing a health crisis, Charles, who lives in South Portland, said it was the health arguments that persuaded him to try a vegetarian diet. But now, a year and a half into this dietary change, he feels his decision to avoid animal products is also a way to prevent pollution and lessen animal suffering. In addition to concerns about animal welfare, Charles has been moved by a recent spate of reports warning that unless we drastically decrease global meat consumption there is no way to avoid catastrophic climate change. In my conversations and correspondence with Maine vegetarians, I’ve discovered that while concerns for animals and the environment can be a powerful motivator, there is a new wave of vegetarians discovering plant-based food as a way to recover from disease and regain their health. Heather and Tom Meehan of Durham are one example. The couple began eating a plant-based, vegan diet about a year and half ago to treat Tom’s heart disease. Although her husband has always been trim and active, and they “ate what was considered a healthy, mainstream diet,” Heather told me Tom’s blood pressure and cholesterol were high, and his doctors eventually inserted a stent into one of his arteries. “In five years of treatment for heart disease, none of his doctors ever mentioned” a vegan diet, said Heather, 37. Then Tom, who is now 60, discovered the research of T. Colin Campbell, Ph.D., and Dr. Caldwell Esselstyn, who have found that a plant-based diet can treat and reverse disease, including heart disease and some cancers. After more than a year of vegan food, Tom is no longer on blood pressure medication and his cholesterol prescription has been cut in half. These days, it’s more common than in past decades to meet vegetarians like Jean Cobb, Andy Charles and Heather and Tom Meehan, but the overall number of vegetarians in the United States remains small. Recent data comes from a November 2014 survey of 1,200 U.S. kids ages 8 to 18 conducted by the Harris Poll for the Vegetarian Resource Group based in Baltimore. It found that while only 4 percent would be considered vegetarians and 1 percent vegans, 32 percent reported eating regular vegetarian meals. The popularity of vegetarian food among meat-eaters shows up in surveys of adults as well. The Vegetarian Resource Group commissioned telephone polls of adults in 2011 and 2012 and found that 30 to 40 percent of American adults regularly eat vegetarian meals, but only 4 to 5 percent of adults are full-time vegetarians and only 1 to 2.5 percent are full-time vegans. Around the world, the popularity of vegetarian eating varies widely. In China, the number of vegetarians is thought to be similar to that in the U.S., but vegetarians’ numbers are higher in countries such as India (up to 40 percent), Taiwan (13 percent), England (12 percent), Germany (9 percent) and Israel (8 percent). According to the Vegetarian Resource Group’s 2012 adult survey, “there isn’t much difference between male, female, region, or age for actual vegetarians. This also generally applies to family income, except for those making over $100,000 per year,” where only 1 percent abstain from meat. The survey showed that a higher percentage of Hispanic people (8 percent) and black people (6 percent) are vegetarian compared to white people (3 percent). And while more women than men are vegetarian, the number of vegan men and women is equal. Gallup discovered similar demographic diversity in 2012. The poll found that 5 percent of Americans are vegetarians and 2 percent are vegans. In Maine, that would work out to be more than 66,000 vegetarians and more than 26,000 vegans. One of the reasons the number of vegetarians in the United States has remained steady but isn’t growing may be that the majority of people who stop eating meat eventually start eating it again. According to a recent survey by the Humane Research Council, “there are more than ﬁve times the number of former vegetarians/vegans compared to current vegetarians/vegans.” Why? Because 84 percent of vegetarians eventually return to eating meat. As a long-time vegetarian myself, I’m not surprised by this statistic. Every hour of every day, I face societal pressure to eat meat. News reports, advertisements, supermarkets, restaurant menus, movies, conversations, Facebook photos and social gatherings all often glorify and celebrate meat consumption. Eating meat comes easily in America. Eating vegetarian requires daily conviction. In the coming weeks and months, I will explore what it is like to be a vegetarian in Maine today. I’ll talk to new vegetarians and long-term vegetarians. I’ll look at vegetarian family dynamics, talk to vegetarians who live with meat-eaters and explore what is drawing Mainers to veganism. Next week, I’ll talk to a panel of experts about what’s going on in Maine’s vegetarian landscape.